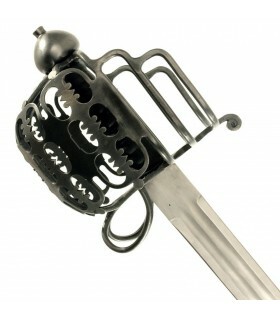 The design of this Rapiera was quite popular in the late SIXTEENTH century and early SEVENTEENTH centuries. 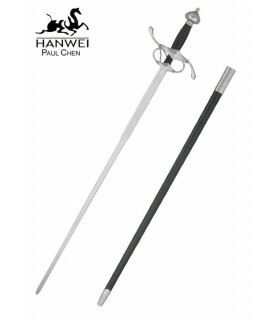 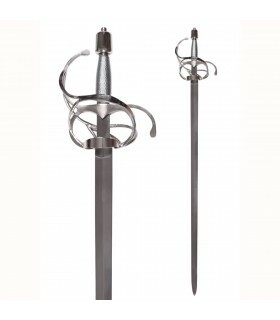 This model is forged by hand by expert craftsmen of Windlass Steelcrafts and has a sheet of steel with a high carbon. 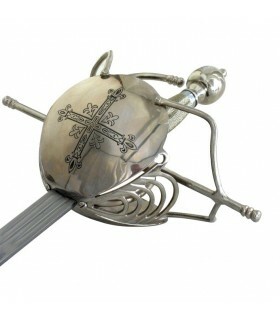 The guard of steel and the pommel is bone, polished, and bleached. 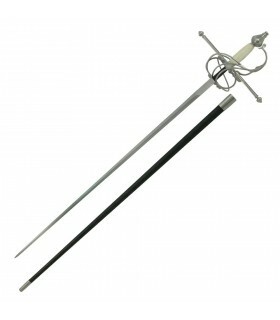 The bone of the grip is natural and may have slight variations in tone, which gives each handle a unique finish. 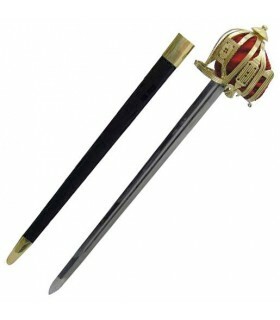 Width at Guard 2 cms. 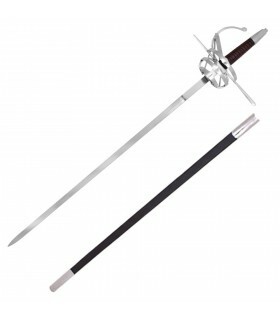 102470001 Blade edge: NO ? 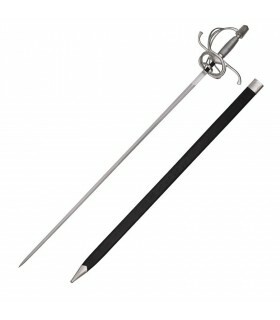 102470002 Blade edge: SI ? 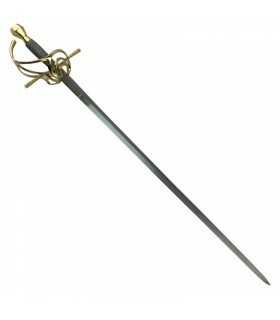 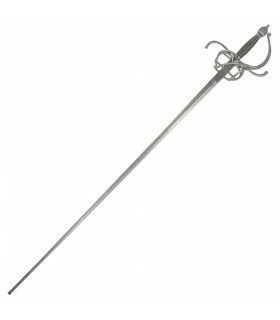 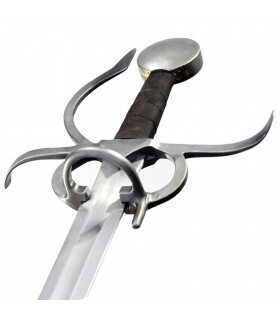 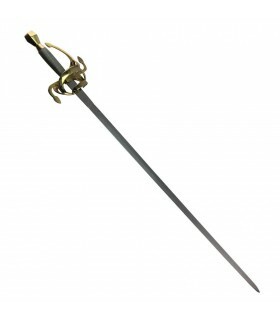 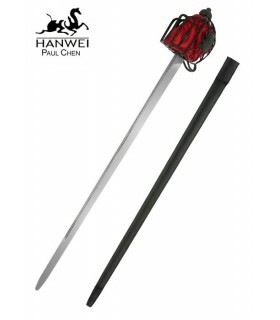 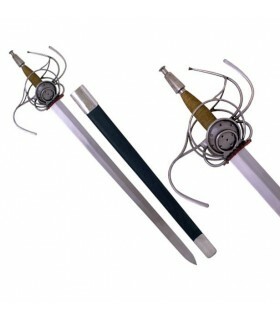 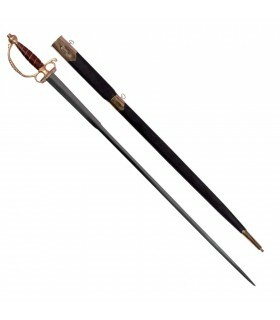 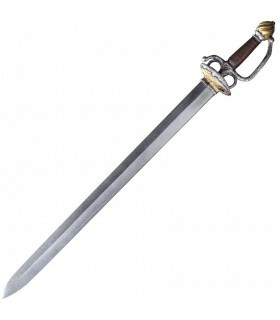 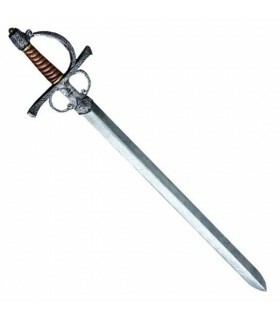 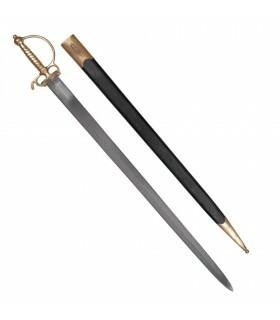 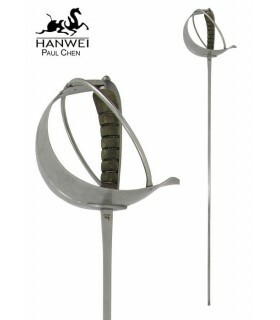 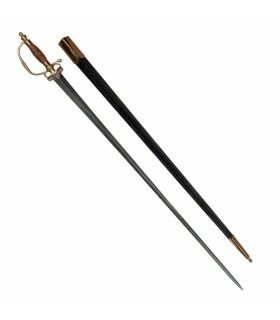 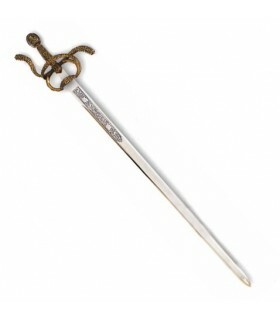 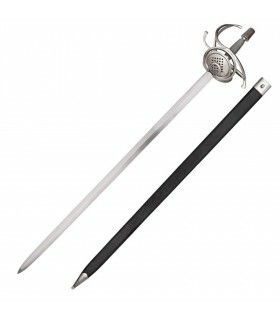 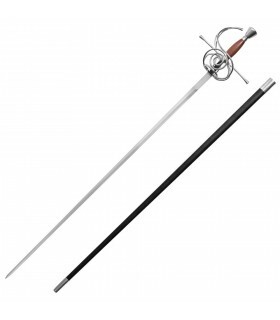 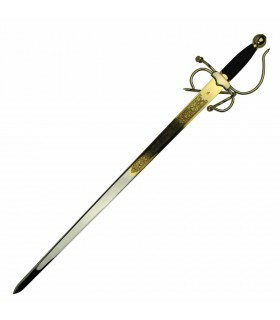 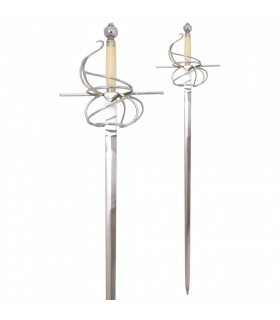 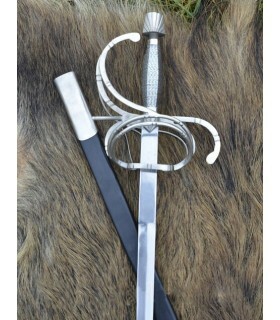 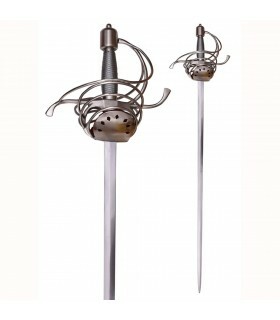 Rapier sword latex, 85 cms.